Another difficult fixture for Huddersfield as they welcome Arsenal to the John Smith’s Stadium. Huddersfield are in deep trouble. Adrift from the rest of the league, the Terriers are looking odds on to drop down into the Championship at the end of the season. Goalscoring has been a particular problem but there are hopes that new signing Karlan Grant can help in that department. Arsenal fans may not enjoy looking at the league table at the moment due to Tottenham’s continued good form – but the Gunners are still in with a good chance of a Champions League spot. They sit just behind a Chelsea team that have been inconsistent over the past month or so and Unai Emery will look to three points against Huddersfield to keep that pressure on. None of the online betting sites will have Huddersfield as favourites to win this one – and it is not surprising when you consider that the Terriers have not won a single match since the end of November and have only scored one goal this year. The return of Aaron Mooy is a big plus but it is difficult to see anything but an Arsenal victory here. The signing of Denis Suarez on loan from Barcelona has excited Arsenal fans as he looks to complement the mix of attacking and defensive players already at Unai Emery’s disposal in the middle of the pitch. Arsenal have the makings of a very good side at the moment and a comfortable win against Huddersfield will be expected. This one could end 3-0 to the visitors. Huddersfield have had all sorts of problems finding the net this season so an Arsenal win and a clean sheet seems likely. Royal Panda has that at 17/10. Most bookies are expecting an Arsenal victory so there is more value to be found in predicting the winning margin. 10bet have the Gunners 37/13 to win by two clear goals. Arsenal only beat Huddersfield 1-0 at home earlier in the season but have not conceded a single goal in this fixture since the Terriers came up to the Premier League. Huddersfield are by far the lowest goal scorers in the Premier League. They have only scored 13 all season – Arsenal had passed that amount by the end of September. Pierre-Emerick Aubameyang is still in contention for the top goal scorer in the Premier League. Only Mo Salah has more than him at the moment. Huddersfield have actually recorded more shots this season than Newcastle, Brighton and Burnley but have scored far fewer goals than any of them. Arsenal have not travelled well again this season. They have not won a match away from the Emirates since the 2-1 win at Bournemouth at the end of November. 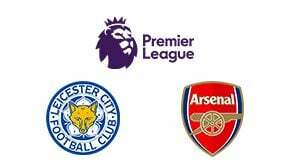 Read other Premier League predictions and more betting predictions.